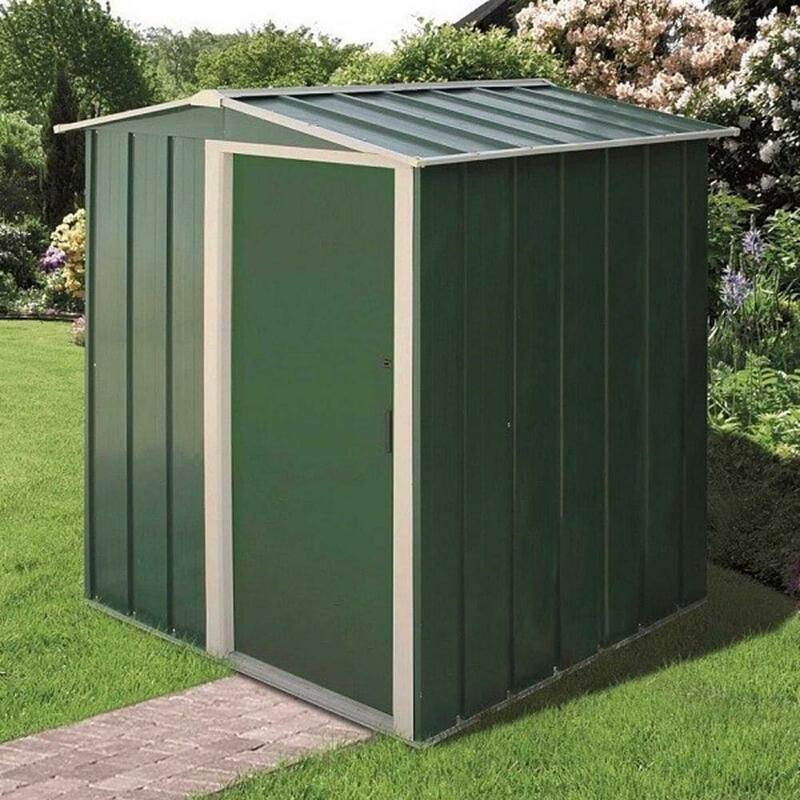 Storemore Sapphire Apex 5 x 4 Shed: The Storemore 5 x 4 Shed is part of the new Sapphire Range perfect for smaller gardens or patio areas for storing outdoor equipment. The Sapphire 5 x 4 Shed is constructed with 0.33mm ribbed metal which is hot dipped galvanised to prevent deterioration and also uses a reinforced grooved wall design for even greater strength. The Storemore Apex Shed is available in a choice of two colours: Heritage Green or Anthracite Grey and features a practical sliding door to save space and provide great access to all your stored items through the spacious opening.